﻿ Arteta: "Robin Van Persie is up there, with Messi and Cristiano Ronaldo"
25.11.2011» Arteta: "Robin Van Persie is up there, with Messi and C. Ronaldo"
The Spanish midfielder, Mikel Arteta, currently plays in Arsenal, a club where he has been asked to fill Fabregas shoes, ever since he joined the club coming from Everton, earlier this season. Arteta was quoted saying that his Dutch teammate, Robin Van Persie, can be levelled with Real Madrid's Cristiano Ronaldo and Barcelona's Lionel Messi. The former Everton player and current Arsenal midfielder, Mikel Arteta, has been assigned with an uphill task earlier this season, which consists on replacing Francesc Fabregas as Arsenal's midfield maestro. Arteta, who knows the English Premier League very well, came on to praise his teammate, Robin Van Persie, who he considers as good as any other top football player, including the names of Cristiano Ronaldo and Lionel Messi. 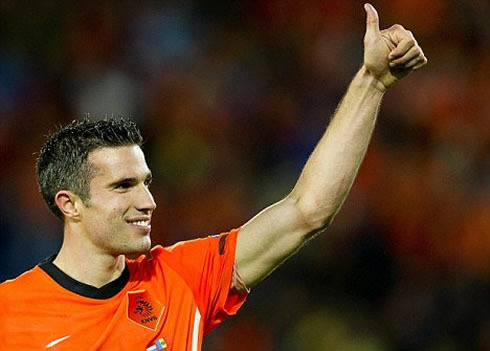 However, Van Persie's name was not even included in FIFA's 23 shortlist nominates, for the Best Player in the World 2011. 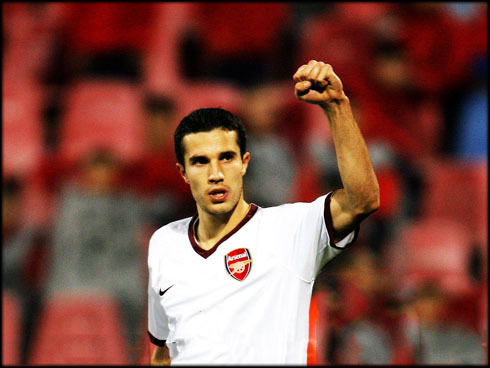 Robin Van Persie arrived at Arsenal close to the end of a golden era, in the year of 2004. He still played alongside with players such as Bergkamp, Thierry Henry or Robert Pires (a few players of the famous "Invicibles armada"), but he never won the English Premier League. Despite the lack of collective success in England, the Dutch player already counts with one UEFA Cup, which he conquered when still playing for Feyenoord, back in the 2001-02 season. 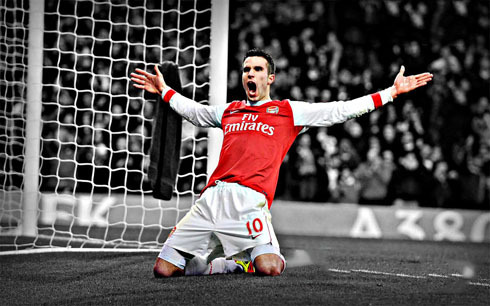 So far, Van Persie had 168 appearences for the "Gunners" and scored for 79 times (0.47 goal per game ratio). The 28 years-old Dutchman, has also 62 caps for the Netherlands National Team, from which he hit the back of the net for 25 times (0.40 goal per game ratio). These seem to be enough reasons for his new teammate, Mikel Arteta, to raise and regard him as a world-class level player, right next to Barcelona's Messi and Real Madrid's Cristiano Ronaldo. Mikel Arteta: "At this moment, Robin Van Persie is probably at the same level as any other forward and striker in the World of football", said the Spanish midfielder, just before adding: "His stats from the last 8 or 9 months are simply outstanding." 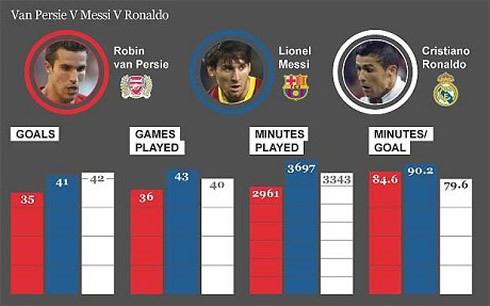 Indeed, the Dutch player scored 35 goals over nearly the last 9 months, however, it is still far from Messi and Cristiano Ronaldo stats, when we look and compare them in the same period, as it may been in the picture above. Arteta: "We all know how good Van Persie is. He keeps putting on great performances and scoring goals after goals." The Dutch forward added two more goals to his tally this last Wednesday, against the German champions, Borussia Dortmund. Arteta: "In my opinion, he is a natural talent. Sometimes it seems like he's not even seeking for goal, but all of a sudden, he tricks defenders and scores an unbelievable goal. He's at the top and he keeps being a player who makes the difference. Thankfully, Van Persie has been keeping this great form for a while and that can only means that the club will keep winning games", noted Arteta. Real Madrid next match is against Atletico Madrid, for the Spanish League "La Liga", this Saturday (26-11-2011) in the Santiago Bernabéu. You can watch Juventus live stream, Real Madrid vs Atletico Madrid this weekend, as well as Getafe vs Barcelona and also Manchester United vs Newcastle for the English Premier League, all available from our soccer live streams. Even though Cristiano Ronaldo missed Real Madrid last match against Dinamo Zagreb, he is not injured and he should be a starter against Atletico Madrid.